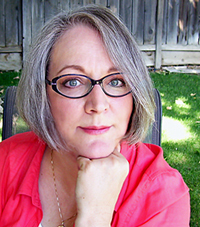 Please welcome fellow Kindle Scout winner Linda Cassidy Lewis who says: I’ve always made up stories, but I never planned to have a writing career. 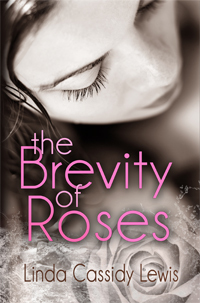 I self-published my first novel, The Brevity of Roses, as a personal challenge. Imagine my surprised delight when others were happy they’d paid to read it. And so it began. I wouldn’t want to time travel so much as bring two of my guests into the present and enable them to speak English. Since I’m not familiar with many different geographical places, any beautiful, quiet beach will do for the location. My guests and I would sit around a table, which is my favorite place to have a conversation, and we would eat delicious food and drink good wine. My three guests would be Jesus, Leonardo da Vinci, and author Kristan Higgins. Whenever I’m asked a question like this, I always choose Jesus to invite because my curiosity compels me to discover the truth of what we’ve been told about him and his teachings. I’d invite Leonardo because of his genius; think of the endless topics for conversation. And I’d invite Kristan because she’d be a riot—especially if we had plenty of wine to drink. I have a feeling Jesus and Leonardo would appreciate the laughs too. As I’ve gotten older, I find that I want to laugh more. But I still take time to ponder the deep things. So, my pick is a book that I read, for the first time, a few months ago but can’t stop thinking about. It made me laugh. It incited serious thought. And then it broke my heart. I love it for all three. That book is Me Before You by JoJo Moyes. I’m both … or neither. I’m not a fast writer. I live with the story in my head for a good while before I start typing. I see the story as a movie. It forms in bits and pieces, usually dialogue first. I hear the character speaking, like voiceover on a black screen, and then the scene forms. But, of course, when I do start typing, the characters often surprise me by changing the plot elements. Lots of fun that. I don’t have enough reading time to waste by finishing a book I don’t like. Three things stop me: either I don’t like the “voice,” the characters don’t interest me, or I can’t silence my inner editor. I do read them. I’m not the kind of author, at least not yet, that inspires many readers to tell me directly what they think of my books. So I have to get those opinions second hand from reviews. 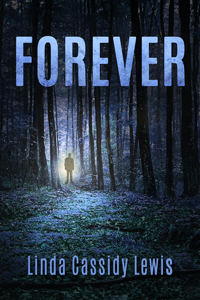 My latest novel, Forever, is my fourth published, so I’ve had enough experience to teach me not to let negative comments devastate me, though I always evaluate their validity. But I need the positive comments to counteract my inner critic’s vicious tongue. I have to add words, always. My first draft lacks narrative; it’s mostly dialogue with a little action and almost no description. So, on the next round, I replay the scenes and fill in the blanks. And when I say “next round” it could very well be five minutes or an hour later or the next day because I edit as I go. And then I edit again and again and again. A real life incident sparked the idea for my latest work, Forever. I was standing in line to pay at a convenience store and suddenly had an irresistible urge to turn my head. I saw a man I didn’t recognize, and yet I felt strongly that I knew him. No. I felt positive that I knew him. Then it was my turn to pay, and I left the store, but I kept thinking about that odd feeling of connection. Because reincarnation is within my realm of belief, I wondered if I’d known him in a previous life. So, in my head, I began writing a story about meeting someone you’d known in a previous life, but because I was, and still am, a Stephen King fan, I explored how that situation could go very wrong. Can I pick two? One I’ve only seen written is the word “then” when it should be “than” as in: She’s taller then me. And the other screamer is when someone says, “I could care less,” when they actually mean the opposite. Write the story that won’t leave you alone, the one that runs through your head in quiet moments. And write it honestly. Learn the basics of the craft from good teachers, and learn more by reading books you love, and then hone your skills by writing, writing, writing. There’s no other way to do it. Tom Cogan’s not in the habit of keeping secrets from his wife, Julie, but when young and beautiful Annie is thrust into his life in a fated moment, he tells no one. Who would believe that he’s seeing flashes of a past life with Annie? Better to keep those experiences to himself. But secrets breed mistrust, and as Tom’s isolation from Julie grows, so does the danger to everyone he loves. Unbeknown to any of them, they’re pawns in a demented and deadly game staged by a dark entity who has waited nearly two centuries to exact revenge. Your post was a refreshing way to start the day! I love your advice about writing the story that won't leave you alone :-) All the best with Forever! I'm glad you enjoyed this, C.T. And thank you for the well wishes. A great interview Linda! I love your choice of guests. Thank you for reading, Darlene.